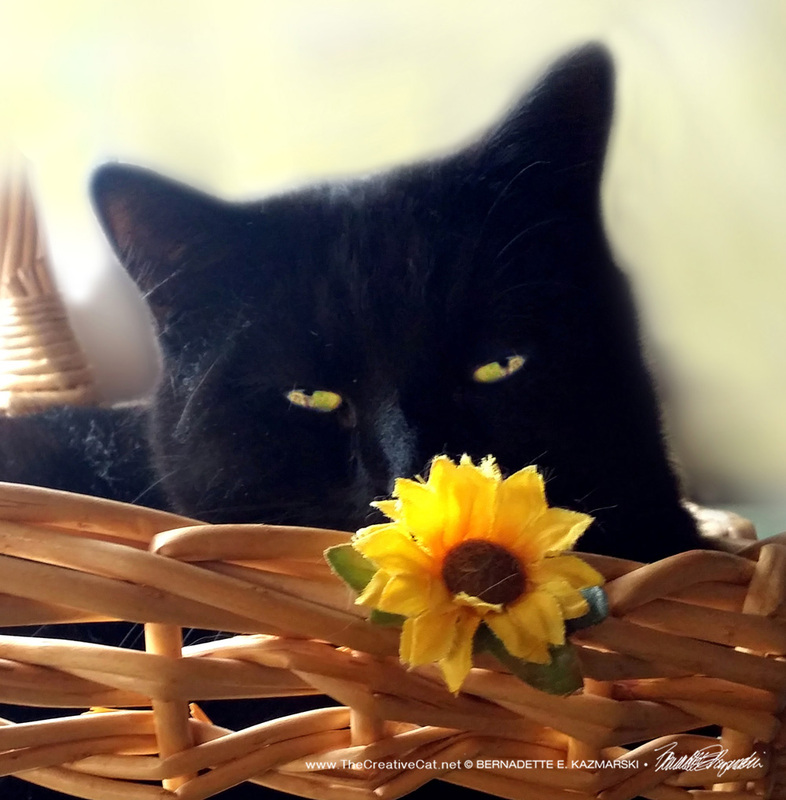 Bella is just feeling pretty mellow yellow as she settles in her little world within her basket. Bella is well aware of her charms and her beauty, and just how to compose a good photo. Here is the original photo. 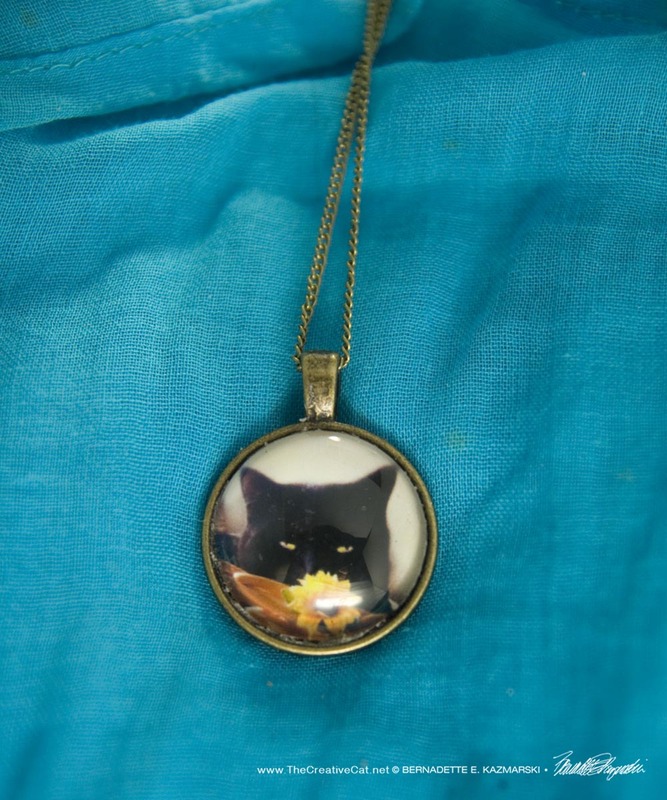 This small pendant is made with a print of my photo of Bella, “Flower Child”, inside an antique brass metal frame and a 1″ convex glass cabochon cover. I make a high-quality print of my artwork, trim it to fit the cabochon and frame and adhere it all together, then choose a cord or chain that coordinates with it. It comes with a black 18″ antique brass chain. 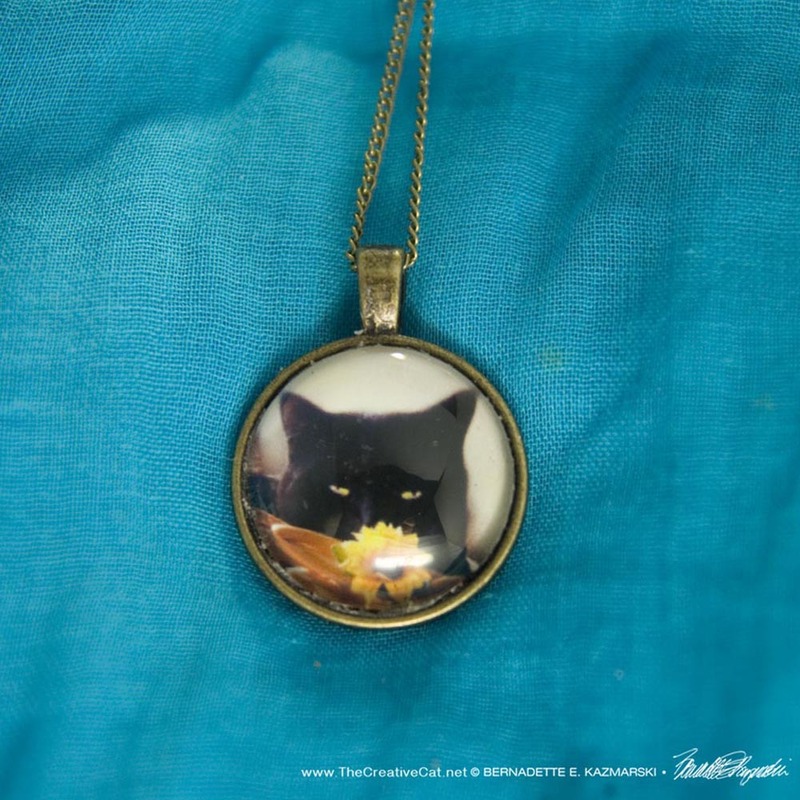 This entry was posted in black cats, cat merchandise, Gift Items, Handmade Feline Gift Items, Handmade Gift Items, jewelry and tagged black cat, black cats, cat art, cat artwork, cat gift items, cat jewelry, cat merchandise, cat-themed gift items on May 29, 2018 by Bernadette.